AIMA NZ was very excited to offer a full day of workshops prior to the AIMA conference on Friday 5th April from 9.00am-5.00pm. These workshops provided a unique opportunity to work alongside subject experts and a small group of like-minded professionals covering the following compelling and relevant topics. The day wasn carefully curated to integrate these two fascinating themes. Tickets included full catering with arrival tea and coffee at 9am, morning tea at 10:30am, lunch at 12:30pm and afternoon tea at 3.30pm. Workshops are not included in the conference registration and incur an additional fee. The AIMA NZ Pre-Conference Workshops have been endorsed by The Royal New Zealand College of General Practitioners (RNZCGP) and have been approved for up to 6 CME credits for the General Practice Educational Programme (GPEP) and Continuing Professional Development (CPD) purposes. Healing from Bullying and Narcissistic Abuse: a workshop for ourselves, our clients and our patients. Dr. Robin Kelly (left) and Erica Steele (middle) have worked together on several high-profile cases of workplace bullying. Robin has been a family doctor on Auckland’s North Shore since 1981. Since 1991, his home run practice has integrated Eastern and Western principles of health and consciousness focusing on chronic ill health. “The basis of my practice is deep listening with an open mind and heart. This, in turn, leads to a deeper understanding of a person’s life story, and how it relates to their health. Consultation times have to be longer, but drug prescriptions are considerably reduced.” Robin principally uses breathing techniques and gentle acupuncture as guides to achieving a sense of inner peace. 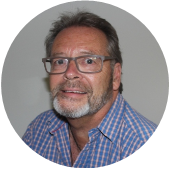 He is a past president of the New Zealand Medical Acupuncture Society, and a founding member of the NZ MindBody Trust. In recent years, he has developed an interest in helping those suffering from Complex PTSD, often as a result of long-term bullying and narcissistic abuse in their personal or work lives. Robin is medical adviser to CultureSafe NZ Ltd., an independent organisation supporting the victims of workplace and cultural bullying. He is the author of 3 books published internationally, two of which have won USA science awards. 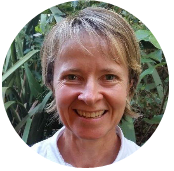 Erica has worked for over 2 decades as a career coach/counsellor working in both Auckland and Wellington. 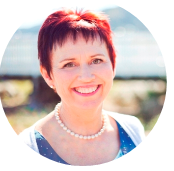 She is also the author of The Mentoring Handbook – a guide for mentors, proteges, and organisations which has been used as a text and for training for national mentoring programs and workshops including for the medical profession and government. She has also worked with both individuals and teams affected by bullying in a wide variety of industries including engineering, retail, trades, SMEs, the arts, not for profits and elite sports. 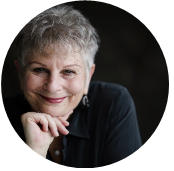 Robin and Erica will be joined via live video by the world-renowned Petrea King (right), founder of the Quest for Life Foundation. Petrea has long been a passionate advocate for those suffering from complex PTSI. Petrea is a greatly admired and appreciated member of our AIMA community. Our aim is to coordinate a joint Australia/New Zealand initiative to raise awareness for this important issue which seriously affects the health of multiple generations here and overseas. Healthy Nature Healthy People: how to bring the healing power of nature to your practice. People have long intuitively known the healing and rejuvenating power of spending time in the natural world, now science is proving that nature is essential to our health and wellbeing. Tell stories and case studies of how green prescriptions have been implemented. Penny has been a board member of a number of not-for-profit boards including the Central Coast Division of General Practice. 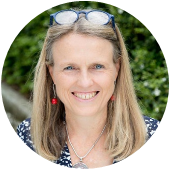 She is passionate about supporting integrative doctors and therapists and is a clear and strong voice to guide the future agenda of Integrative Medicine in Australia and New Zealand. Helen is also a board member on the West Coast District Health Board. She is passionate about health and wellbeing and nature settings. Tony is the Director, Community Partnerships at Parks Victoria. 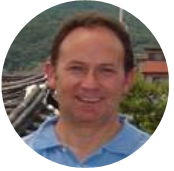 Tony has more than 25 years of experience in park management including roles in policy, park planning, park operations, research and evaluation, and community engagement. With a background in education, recreation management, and nature conservation, Tony has both a professional and private passion in conserving our special natural and cultural places while connecting people and nature, for the benefit of both. Click HERE to purchase your tickets. Spaces are very limited, so get in quick!